For more than 4 centuries now, Mater has hosted the brewing family Roman, which has perpetuated the brewing tradition from father to son. Officialy, the story of the brewery began back in 1545. The Roman family brewery is located in Mater, east of the city of Oudenaarde. The village, which is now part of Oudenaarde, as well as the family name, probably find their origin back in the Roman ages. In those days, the brewery was located along a major road connecting Germany to France. Along this commercial route, there was a big farm called "De Clocke", in which travelers were able to rest and spend the night. They could rest their horses, get them stabled or get a fresh horse if necessary. Mr. Joos Roman managed that stage-coach stop. He was the bailiff of the area around Schorisse until 1604 and can be described as the"Pater familias" of the Roman brewing dynasty. The subsequent Roman generations took over the helm. 12 generations later, what was once a side business became their main activity. In 1907, the Roman-Uytersprot widow handed over the management of the brewery to her three sons: Louis, Charles and Joseph, so the brewing tradition continued to perpetuate from father to son. Mr. Louis Ch. J. Roman became the twelfth direct line successor and is still today the current managing director of the company. In 1927 the Roman brewery became a Limited Liability Company, of which Mr. Louis Ch. J. Roman is President of the Management Board. In 1930 a brand new brewery was built next to the old factory. The new brewery has been regulary enlarged since then. Before Word War II, the brewery struck gold with the launch of the 'dark' Roman Oudenaards. This extraordinary production boom happened under the impulse of the three Roman brothers. They led the brewery safely through the two World Wars and made the brewery grow into a succesful company. After 1945, the focus was put on rebuilding their former market, and the bottom-fermented beer Romy Pils was created to complete the product range. Thanks to the production of Romy Pils, the turnover increased dramatically and the brewery went through a new period of expansion. In 1983, Sloeber came along; the first top-fermented beer refermented in the bottle. This industrialization led the Roman Brewery through an economic whirlwind of new beers, new technologies and marketing techniques. 1990 was the year of the succesful launch of the Ename abbey beers: Ename Dubbel and Ename Tripel. This range of abbey beers was reinforced by the Ename Blond (1997) and the amber-red winter version Ename Cuvée 974 (2002). This beer replaced the Christmas Bell that had lost popularity. The Mater Witbier (white beer) was put on the market in 1993. In 2003, the Roman Brewery decided to relaunch its dark beer Roman Oudenaards. It became Adriaen Brouwer. The brewery's innovative spirit expressed itself again in 2005 with Black Hole, a 'premium lager', savoured out of a green long-neck bottle or its specially-printed glass. Five years after Adriaen Brouwer claimed a steady place on the beer map, the Roman Brewery designed a strong Adriaen Brouwer Dark Gold (8,5% vol. alc.). This tasting beer is a product with a strong personality, a reflection of the character and the works of the artist it was named after. 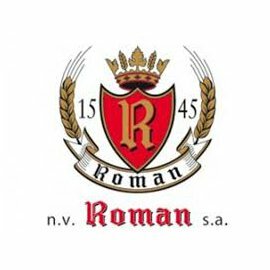 The Roman Brewery thus produces and commercializes an almost complete range of Belgian beers, each of them brewed in a specific and traditional way.